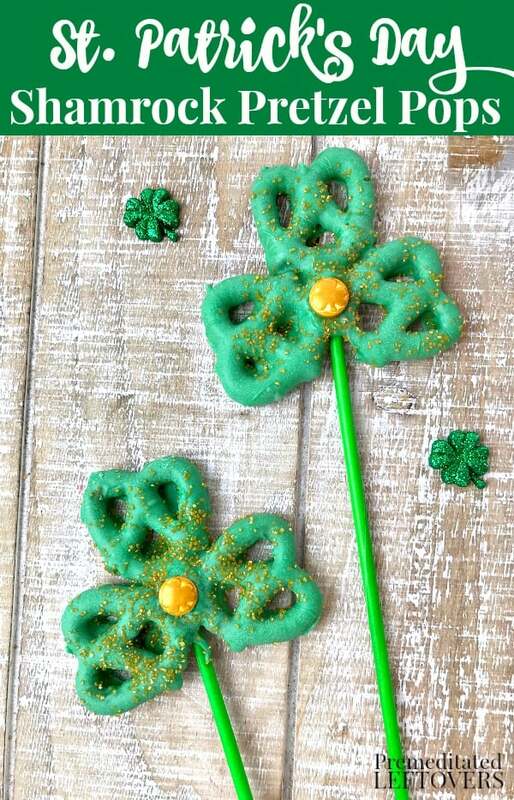 The lucky Shamrock Pretzel Pops Recipe will be loved by the young and the young at heart! 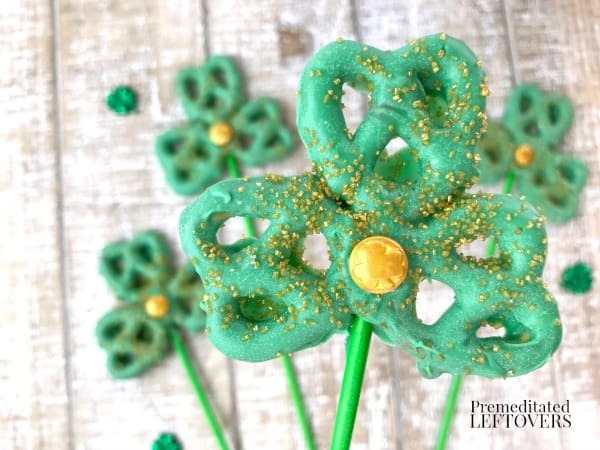 By making this Shamrock Pretzel Pops Recipe you may avoid getting pinched whether you are wearing green or not, they are just that cute! 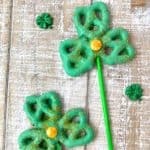 All you need are pretzels twists, sprinkles, and green candy wafers to create this simple and fun seasonal treat in time for St. Patrick's Day. 1. Line a baking sheet or large cutting board with waxed paper. 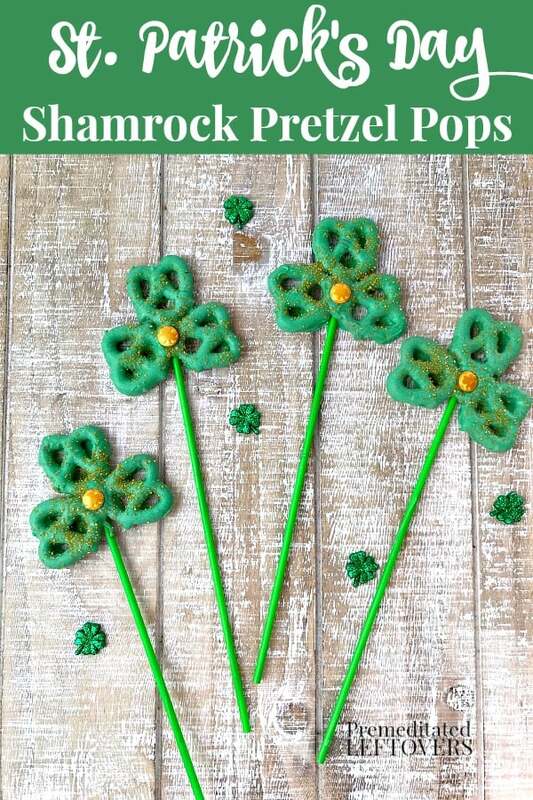 Place lollipop sticks on waxed paper, spaced to allow room for each shamrock. 2. Melt green candy melts in a microwave safe bowl (according to package directions.) Heat on high for 30 seconds and stir. Repeat in 15-second increments, stirring each time, until completely melted. Do not overheat as the candy will seize and become unusable. If the candy is too thick to pour from a spoon, stir in 1 teaspoon of coconut oil or vegetable shortening. Test for consistency and add more coconut oil if needed, up to 1 tablespoon. 3. 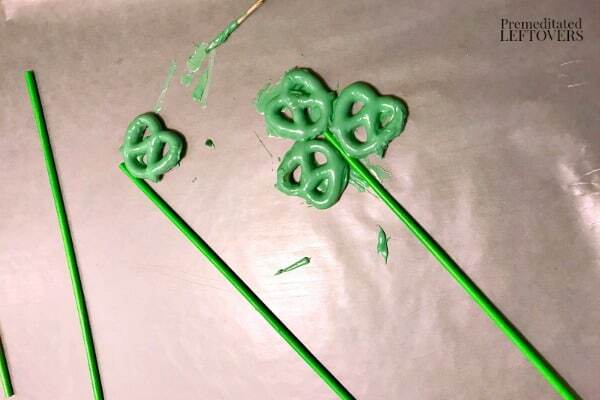 Dip each pretzel in candy coating, turning to coat. Remove from candy coating with a fork and tap against the bowl to remove excess. Place pretzel on waxed paper with the bottom edge touching a lollipop stick. Use a toothpick to slide into place if needed. Repeat with each pretzel until three pretzels are around each stick. 4. 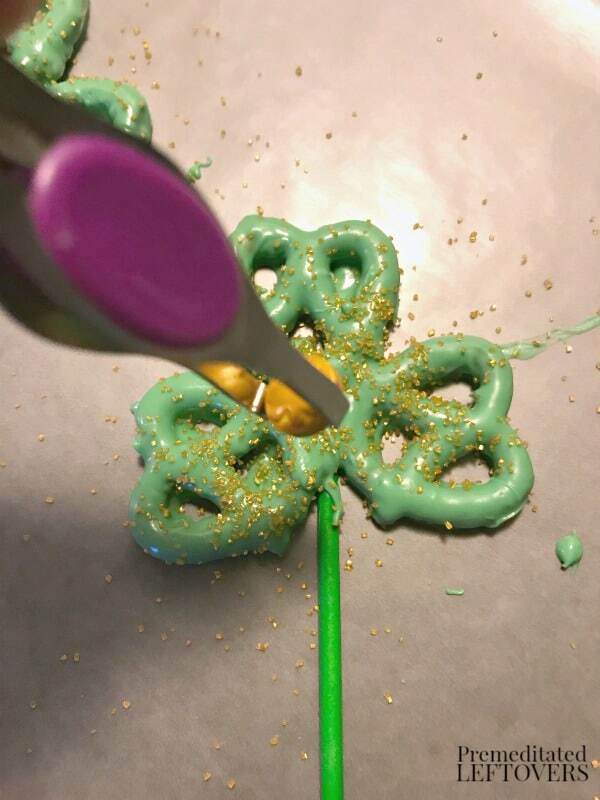 While the pretzels are wet, sprinkle with gold sugar sprinkles. 6. Allow pops to set completely. Place in the refrigerator for faster results. 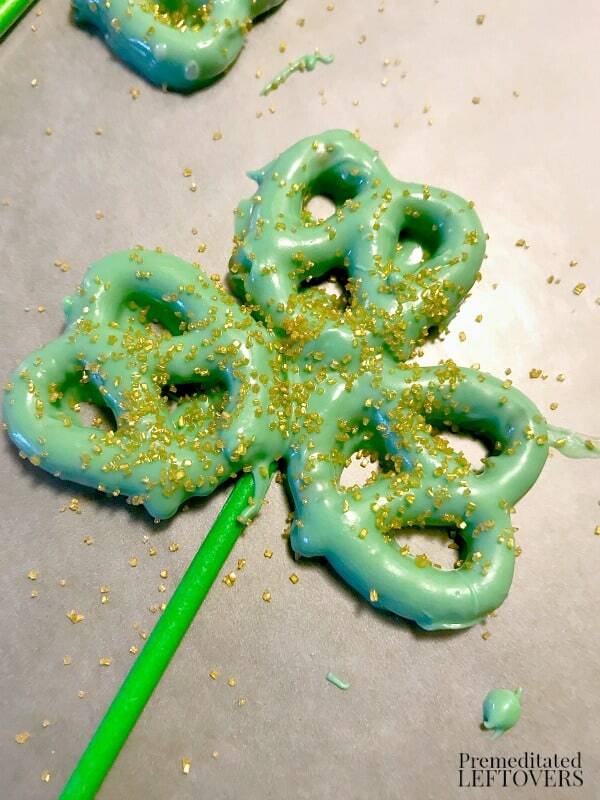 Dip each pretzel in candy coating, turning to coat. Remove from candy coating with a fork and tap against the bowl to remove excess. Place pretzel on waxed paper with the bottom edge touching a lollipop stick. Use a toothpick to slide into place if needed. Repeat with each pretzel until three pretzels are around each stick. Allow pops to set completely. Place in the refrigerator for faster results.